Alistair Connal CA is a Business Controller at multinational technology company Google. 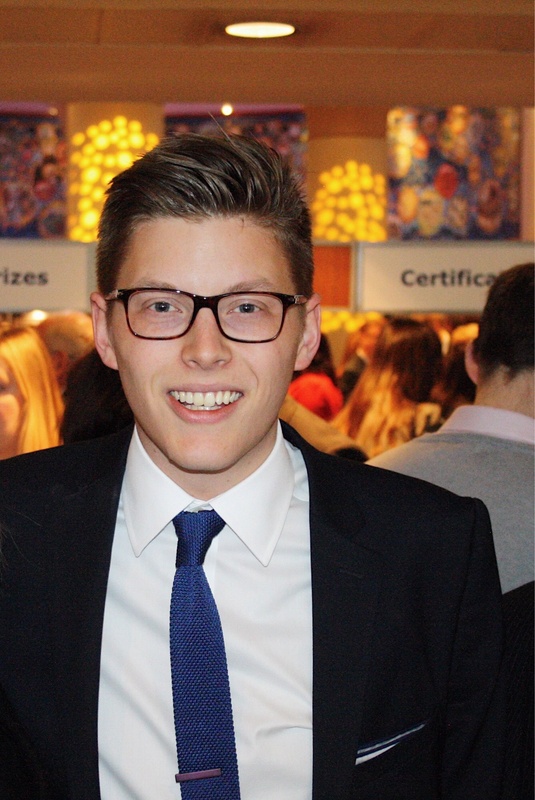 Having trained at EY in Edinburgh, Alistair made the move to San Francisco in 2012. Alistair credits his CA qualification as his "unique differentiator" amongst a field of top talent. Having been in America for only six years, Alistair Connal CA has made a name for himself at tech giant Google. Alistair tells us about his search for new challenges and making the leap stateside. My career began at Ernst & Young, starting with a summer internship followed by a graduate programme in the Assurance practice in Edinburgh. As I was completing my CA qualification I started to think about my next steps and considered whether to stay in practice or move to industry. It was a tough decision as I was able to see benefits and different growth opportunities on both sides. But I felt like I’d been in Edinburgh for a long time, and I was ready to try living somewhere new, so felt that staying in practice would provide more mobility opportunities. I really didn’t know where I wanted to go, but the firm was very supportive and one of the partners had previously enjoyed a secondment in Silicon Valley, and kindly introduced me to a team in California. I started conversations in January 2012 and, within a few months, I was coming out of busy season with an offer to transfer. By the summer, my Visas were in hand, and I moved to San Francisco in July 2012. I enjoyed my time at EY in San Francisco and learnt a lot of new skills. In particular, one of the biggest changes was adjusting to a different regulatory environment and with respect to SOX and internal controls (from the “principals-based” UK to a “rules-based” US). I also gained exposure to different industries, including my first exposure to technology start-ups. Soon I was itching for a new challenge and felt that I needed to capitalise on being in the San Francisco Bay Area during such an exciting time for the tech industry. A close friend worked at Google and referred me to a role there. After an intensive interview process, I started at Google in November 2014 and it’s been a whirlwind ever since. Google is a company that prides itself on its values, filled with talented and passionate people who are inspired by the opportunity to tackle the world’s biggest challenges. When I first started, I had a serious case of “imposter syndrome”, but soon realised that my CA qualification was a unique differentiator, as I felt equipped with a broad set of business knowledge and skills that I could bring to the table. I started by investing time into developing a broad understanding of Google’s products and our accounting systems and processes end-to-end. This gave me a solid foundation to build strong relationships with my business partners, who rely on my advice and guidance. My role requires me to think on behalf of these partners while balancing the overall accounting risks and business objectives. This inevitably comes down to the problem of “how can we move fast without breaking our existing processes”. Combining the depth and breadth of my knowledge across accounting and our product objectives has given me the reputation as a creative problem solver and trusted advisor to many senior stakeholders. One of the biggest challenges of my job is the rapid pace of change and uncertainty. But that’s what makes it fun and exciting! Working in practice, I found that there was usually existing precedent for our audit procedures. At Google, on the other hand, everything is brand new. I’m working on new products and new deals that constantly challenge the status quo, so I’m always challenged to find new ways of doing things, and make the trade-off between managing financial risks and supporting the business move fast and meet their outcomes. My move to the States was born from a desire to experience living somewhere new and the personal growth opportunities that would provide. I considered some different options of where to go but felt like San Francisco sounded inspiring and exciting. It was a completely blind move since I didn’t even visit before moving. But six years later, I couldn’t be happier with the decision. Truthfully, I found it difficult to adjust to a new workplace culture in EY’s US Assurance practice. In part, this was due to the different audit regulations. It also took some time to adjust to the different work-life balance. The culture at Google, however, is truly incredible. Most people see Google in the “best places to work” lists, hear about the amazing benefits, or have an expectation based on what they’ve seen on “The Internship” but, going deeper than that, Google fosters an innovative, collaborative culture where we are encouraged to respect each other and have fun. It’s also a privilege to have the opportunity to work with such talented and diverse peers. I’m now the Business Controller for Google Search. I primarily support our Search and Android partnerships in addition to new products such as Google Assistant. Day to day, I work with product and sales teams to assist with product and feature launches, including technical accounting assessment and developing and executing accounting processes to ensure our product launches are finance-ready. Google fosters an innovative, collaborative culture. This means that I’m usually on the cutting edge of something new, thinking through the financial risks and mitigations, influencing other groups to resolve process, system and resource gaps that might jeopardise our financial reporting accuracy. An example of this would be helping the Google Assistant team think through the financial implications of new monetisation strategies, data requirements that teams would need, and designing processes to help this monetisation scale. I am also responsible for the accuracy of the traffic acquisition costs (Google’s primary cost of sales) related to our Search business during month-end close and in our Financial Reporting. I believe being a CA gave me a different perspective on my approach to working at Google, going beyond the idea that I’m “just an accountant” and enabling me to become a trusted and respected business partner. As for words of wisdom, I would say that being a CA opens many doors, and opportunities present themselves in lots of different ways. I have never been good at long-term planning. Instead, I’ve simply seen my career as a series of individual decision points. Open yourself to new challenges, and the opportunities will come. Honestly, passing TPS Tax (on the second attempt) is something that I’m still amazed I managed to achieve. So I’m extremely proud of even qualifying as a CA as the qualification is so well recognised and respected internationally. But more recently, I’ve had the privilege of working on some extremely high profile deals during my time at Google, and I’m proud of the impact I’ve had on those. But I’d like to say that my biggest achievement is still to come. I’ve been in San Francisco for six years, and I’m going through the final stages of my Green Card process. Though I do miss my family and friends at home, I love living here and the opportunities at Google. So my aspirations are to continue rising the ladder here, gain exposure to different areas of the business, and continue to make a positive impact to the people around me.